May I start off with a confession? I have been tossing and turning over what my inaugural post for Seek Satiation should be. Let’s be honest here, people: this could make or break me! PRESSURE! This blog has been a long time coming, being put off by various life events, namely a two year year-round master’s program. I’ve made plenty of fancier recipes that, likely, will show up in this site in the coming weeks and months. I’ve created plenty of recipes to cater to eaters of all types, from carnivores to vegans, from cheese-addicts to religious Paleo eaters, from Whole 30 followers to those that just don’t care how much cholesterol they just consumed. 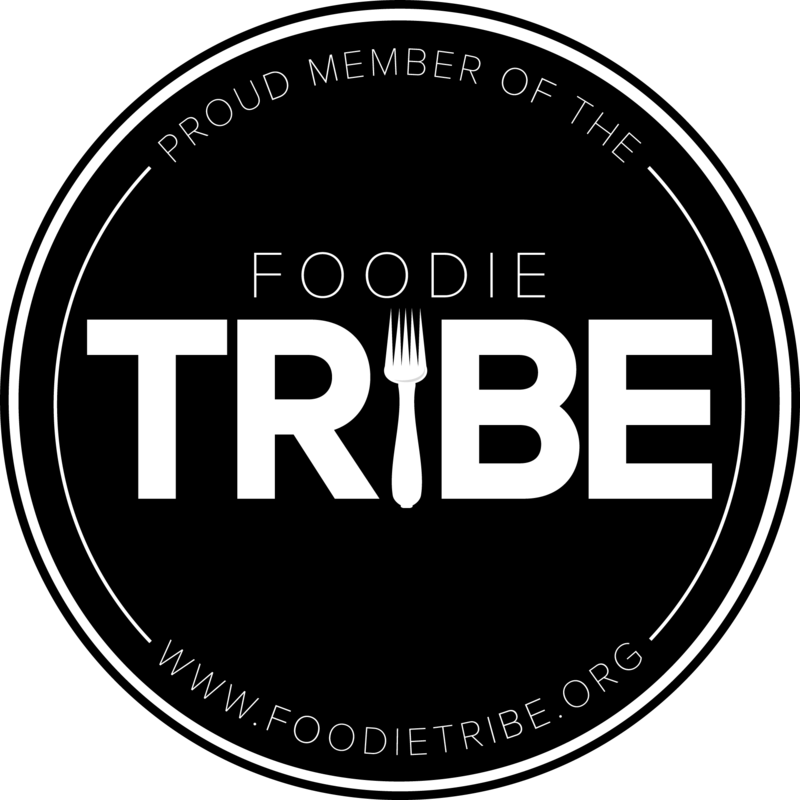 My former grad school classes have been echoing in the back of my head: how can I make this food blog a Blue Ocean kind of food blog in a Red Ocean of food blogs? What are my deliverables? What will garner the most traffic for ad revenue? Why do I have to be so ‘Type A’ sometimes?! Finally, I sat down, drank some chamomile tea, took a deep breath, I settled on a simple recipe for baked oatmeal. Because I already had photos of baked oatmeal with good natural lighting. This baked oatmeal recipe is based off of one from a childhood friend turned globally-based yoga instructor. 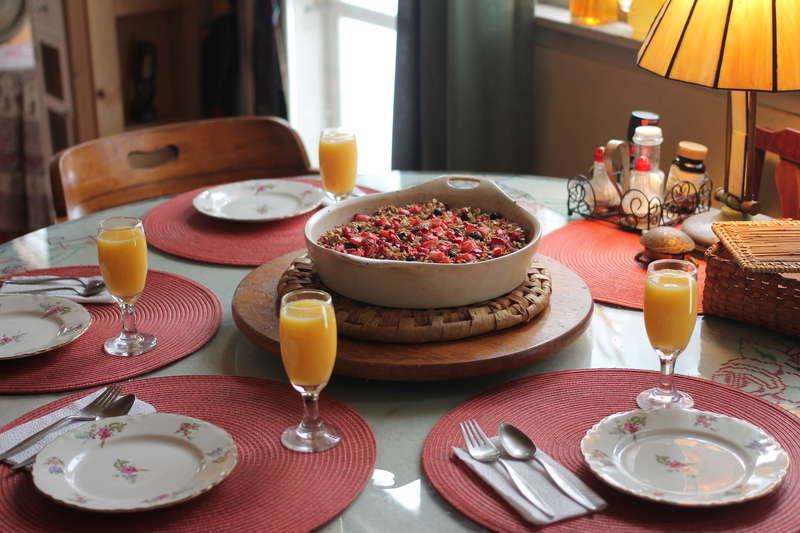 I’ve modified my version from Yoga by Candace’s recipe for Baked Oatmeal with Fruit and Coconut. When I first attempted her recipe last year, I followed it to a T, and it was beyond fantastic. In the past, I’ve made very rich baked oatmeals with eggs and cream, but I have not made one like that since, thanks to this recipe. 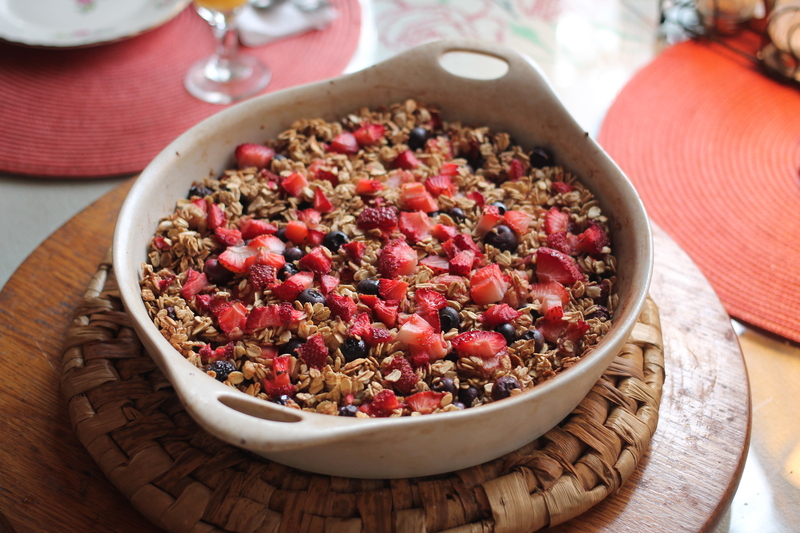 Fresh out of the oven, it’s akin to a guilt-free fruit crisp. My parents request it each time I come home! What’s great about this recipe is the ability to easily customize it. I have made it with Candace’s ingredients, which are berries, peaches, and coconut. I have also made it with bananas, apples, nectarines, pears, and mangos. (Though, not necessarily together!) I’ve made it with flaxseeds, I’ve thrown in some chia seeds, and I always top it with shredded coconut if I have it. I have drizzled with with maple syrup, and I have dabbed it with cinnamon-infused plain Greek yogurt. Hell, I’ll even drip a little heavy cream on it every now and then. It makes for great leftovers; if I make a batch, I can get two or three breakfasts out of it. (Score!) Usually, I just go the “plain” route when making it on an average day, as I find the availibility of blueberries and strawberries to be pretty universal. Still, for something so relatively plain, it’s still going to garner a hearty “thank you!” from both your tastebuds and your tummy. 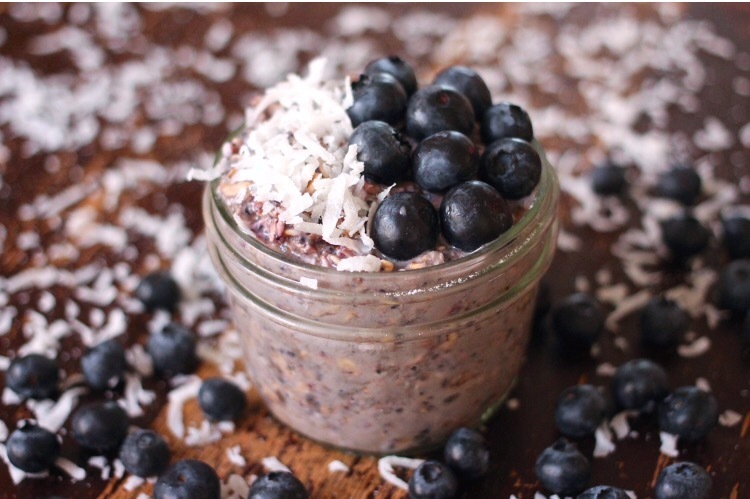 * – Traditional oats should be used, not quick-cooking oats or steel-cut oats. ** – In my experience, sometimes 1/2 cup of water works, but add an additional 1/2 cup of water if the mixture seems to dry; do not over-saturate, but make sure they are wet. -Preheat oven to 350 °F. – Have a 9″ x 9″ pan, non-greased, ready to go. A smaller or larger baking pan will work, but this always works best for me. In a large bowl, combine oats, berries, chia, cinnamon, maple syrup, and water. Mix gently, taking care to make sure the oats are saturated and the fruit is in tact. Spread oatmeal mixture into baking pan. Sprinkle coconut on top. Bake 40 – 45 minutes, or until the coconut flakes are lightly browned.